More than half of type 2 diabetes will be left undiagnosed if doctors follow the current screening guidelines. More than 2/3 of adults are considered to be overweight or obese. More than 1/3 of adults are considered to be obese. By 2020, more than 60% of all adults in America will be at risk for, or suffer from, type 2 diabetes, prediabetes, or obesity. Research shows that up to 70% of type 2 diabetes and obesity cases are genetically based, affecting millions of families. This is the diabesity epidemic. The Diabesity Institute has a critical role to play in educating medical professionals and the public about the true causes of diabesity and the most effective treatments available. In sharing this knowledge and by supporting cutting-edge research, DI is emerging as a key leader in stemming the diabetes and obesity epidemics. 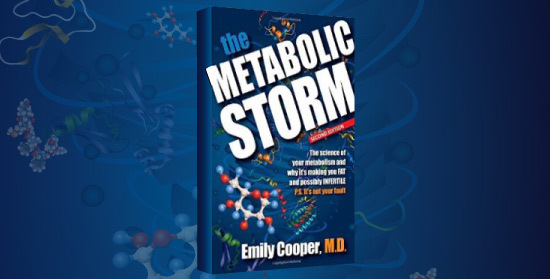 Popular opinion says the problem can be controlled with diet and exercise, but today’s science has shown that the real problem for many people is metabolic dysfunction – which is a medical condition, not a behavioral issue. It’s time for popular opinion to be informed by science. Help us achieve our mission of increasing access to effective science-based treatment for those suffering from diabesity by advancing the science of metabolism. Support our community outreach, provider education, and research programs by donating today. To find out how you can volunteer with the Diabesity Institute, email info@diabesityinstitute.org. Dr. Cooper joins Joyce Taylor on KING5 News to discuss the new guidelines for doctors who treat obesity and how prominent organizations recognize obesity as a disease instead of a medical condition.